So… my weekend in a nutshell? I got my hair done for the fall, went with more chocolate browns and some caramel highlights in the front. You can see how it looks on Thursday when I share my outfit of the week. I had my first #PSL of the season (I don’t count the iced one I had last week, since it was too hot for a regular latte). Sorry, no photo of the #PSL, I was too busy running errands while I was enjoying it. I even accidentally spilled some and it was almost as bad as when you spill wine… the stuff is gold, do not spill it! 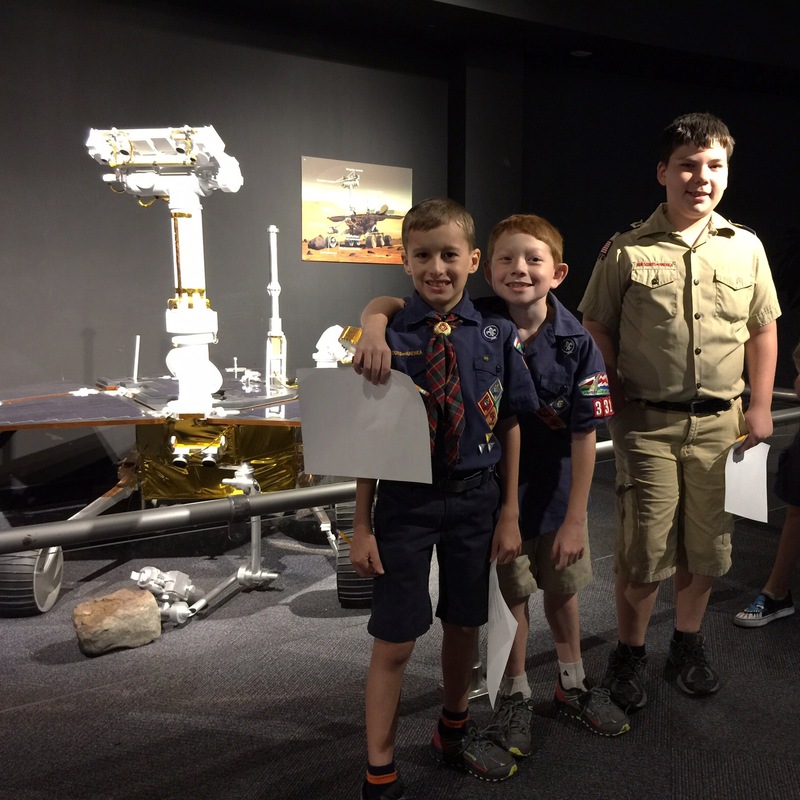 Nathan went to the Science Center for Nova training for cub scouts. 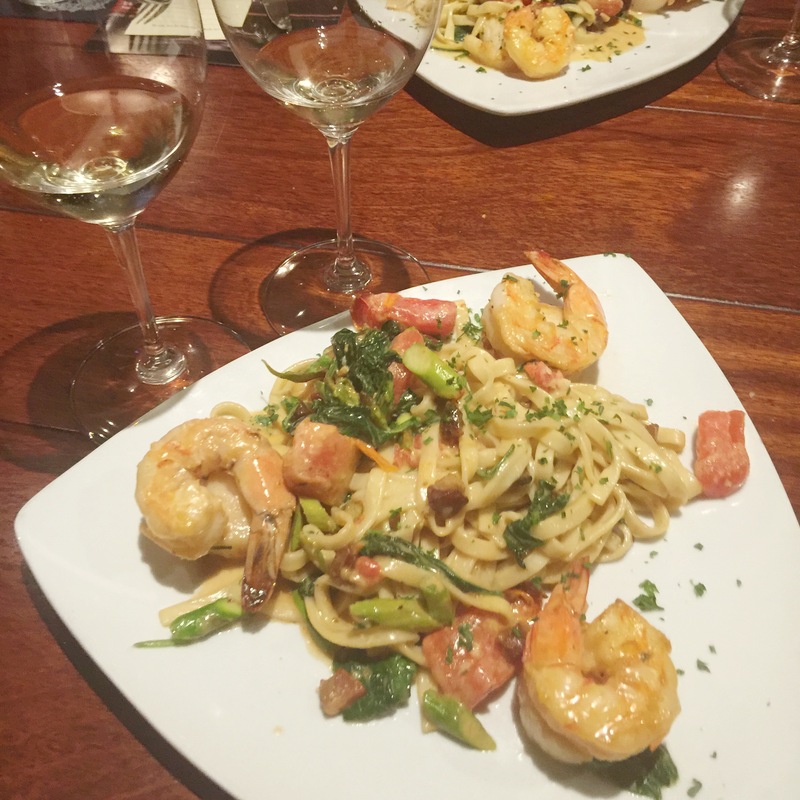 And, Brian and I enjoyed a lovely evening out and I had a wine flight with scallop and shrimp fettuccine. Yum! Wine flights are fun and it was only 3 glasses with two ounce servings each, which is great since I’m trying to only drink 5-6 oz of wine once a week. I know, the torture. 🙂 But, I’m really trying to push the water over anything else (even over those tasty #PSL’s!). 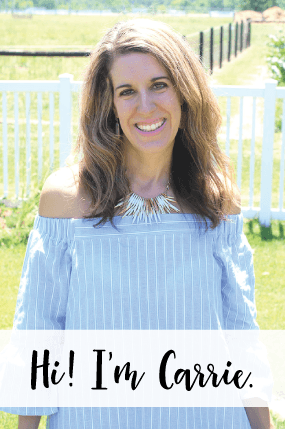 Water is my drink of choice these days (especially Monday-Friday when I drink it exclusively) and the benefits are amazing! I also did more painting in Autumn’s room (I think I am done with the painting now) and I did my last super long training run (12 miles!) on Sunday. My eigth half is in THREE weeks! Tuesday – German Pancakes, breakfast for dinner! Recipe HERE. We have a cross country meet AGAIN, so having an easy frozen pizza for dinner! Friday – Baked Potato Bar with Bacon, Baked Beans, Cheese Broccoli, etc. for toppings. 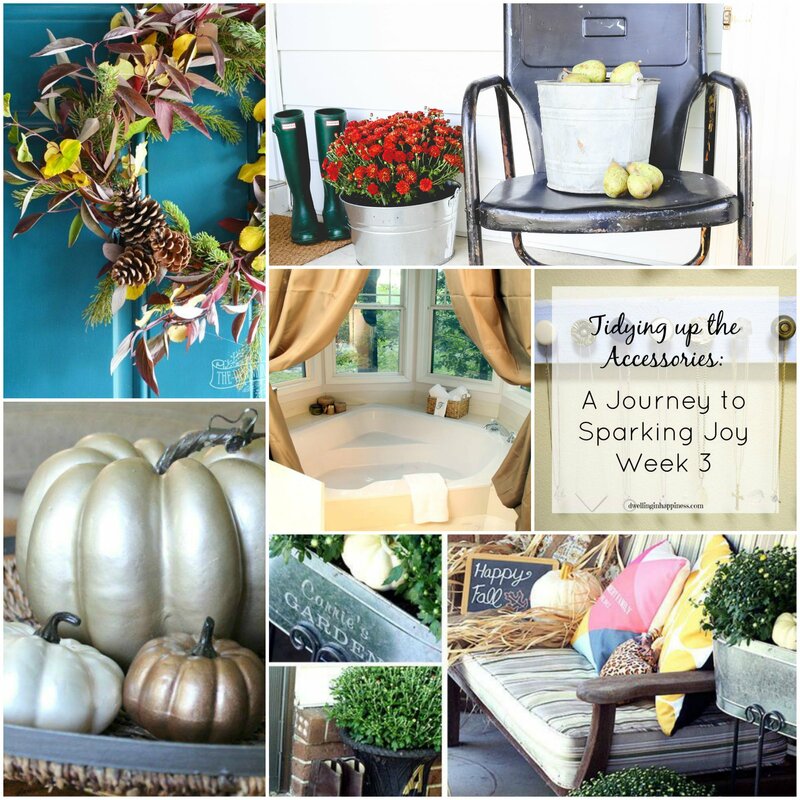 Lauren at Bless’er House shared her fall front porch at last weeks party. 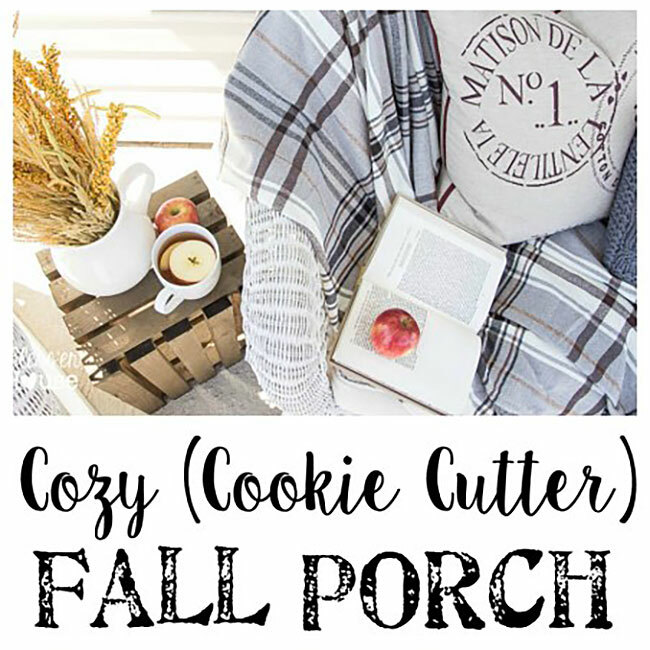 Her porch looks so inviting, I could just picture myself sipping the hot cider she has set on the wood crate and the plaid throws look so comfortable! She also built wooden shutters to frame each side of her door and her MIL made adorable scrap wood pumpkins that she has set out next to some pots of mums. What a warm and inviting porch to sit out on!